Good sleep is influenced by many factors. Record how many off this list that you do & do not do and make changes to improve sleep. Working long hours, more than 10 hours per day. Having electronics including TV’s in your bedroom. Consuming drinks containing any caffeine any time of day. If you are having sleep problems, please stop all caffeine. This includes coffee, black tea, coke, pepsi, energy drinks etc. Eating a heavy meal less than 3 hours before bedtime. Playing video games prior to going to bed. It is also best NOT to exercise in the 3 to 4 hours before bedtime. -Make sure the bedroom is completely black, there is no light getting in. -Make sure the mattress and pillows are comfortable. -Make sure the bedroom is the correct temperature for you. -Make sure the bedroom is as quiet as possible. Wear ear plugs, particularly the wax type which will seal off your ear completely. Just be careful since you may sleep through your alarm…make your alarm louder. What I want to attempt to do is to provide some simple solutions by looking at some herbs that have influence on digestive disturbances, mental health disturbances & structural disturbances/herbal first aid remedies to start. Unless a person has an allergy to a specific plant or plant family, then there are typically no side-effects to these methods providing you follow instructions from a Clinical Herbalist who knows exactly how to use the herbs. These articles, then will be to provide information and peek a person’s interest who may be suffering while looking for simple solutions that work. I will be adding to this volume as I add different herbal monographs and how to use them. 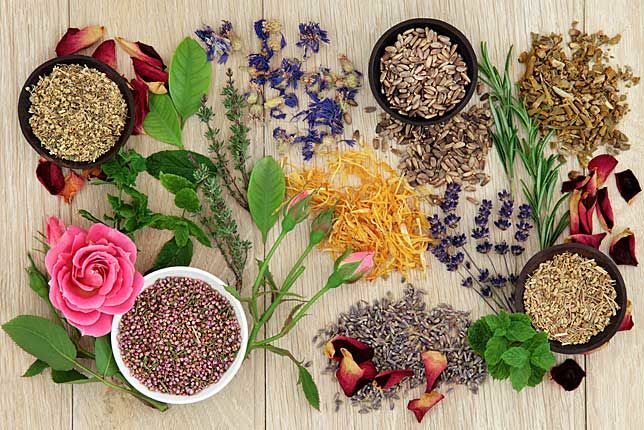 Some herbs need to be used in a formula to get better and quicker results and some herbal remedies need to be taken frequently to get great results in first aid treatment, plus there are what is called Basic Therapeutic Guidelines that need to be followed in order for the remedies in chronic illnesses like mental & digestive disturbances to really grasp hold and work well. I will indicate these details on the “herbal monograph” which will be a short blurb on the herb in terms the layman can understand. Before getting into the herbs themselves I will list what I call the “Basic Therapeutic Guidelines” for great health. A. Avoid: white flour, white rice (in most cases), white sugar, deep fried foods and generally any “fast foods”. These foods tend to increase inflammation and cause imbalances in mood, digestion & blood chemistry. Also avoid aspartame or any other artificial sweetener. If you need an alternative use “raw” Stevia as it does not have an after taste like the “white” processed Stevia does. B. Eat: Low glycemic (low sugar) foods like green leafy vegetables (romaine lettuce, leaf lettuce, spinach, spring greens etc. ), cruciferous vegetables (cabbage, broccoli, cauliflower, brussel sprouts, collards, kale, kohlrabi etc.) Also, whole grains, like brown rice, quinoa etc., for those who can eat grains and high protein foods like meat, beans, legumes etc. Note: 50% of what you eat should ideally be non-starchy green vegetables. Eat & Drink Fermented Foods like; Kombucha, water kefir, milk kefir, yogurt, crunchy sauerkraut, other fermented vegetables, etc. I am not referring to drinking alcoholic beverages either, though some kefir drinks can contain a small amount of alcohol. Note: all sauerkraut or fermented vegetables needs to be eaten at room temperature rather than cooked. 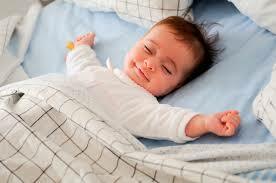 Sleep: At least 9 hours per day and go to bed at the same time and get up at the same time every day. If you are a shift worker do your best to follow this as much as you can. (If you have trouble sleeping and did not indicate this symptom on the intake form please let me know so I can help you with this.) Please also refer to the “sleep hygiene” checklist. Stress: Practise stress-reducing techniques like meditating, exercising at least 3x per week and 1 hour each time, listen to relaxing music, talk to a friend, take up a hobby, get in the outdoors, practise self-hypnosis as directed in the book “In Pursuit of Excellence by Terry Orlick”, practise body mindfulness with the help of a licensed counsellor etc. Laugh: Laugh daily and find at least 6 gifts to be grateful for. Write them down. Watch a funny movie or listen to a “clean” comedian. Keep a Health Log/Journal: For those of you who have a chronic illness you will need to keep a health log or health journal to record what you are doing and your symptoms. This will give information regarding the correlation of lifestyle changes & remedies to your relief or increase in symptoms. Record all that you do for your health including the prescriptions that you may be using from your doctor etc. Vitamin D: For those of you who live up in Canada take at least 10,ooo iu of Vitamin D per day for a healthy immune system, nervous system & for your bones. It must be taken year round since we do not get enough sunshine here in Canada to stop taking it during the summer months, plus sun screen and showering less than 1 hour after being exposed to the sun stops your body from making Vitamin D. It is vital for everyone to take this simple vitamin as it has been implicated in the prevention of many diseases. Note: for those suffering with SAD or Seasonal Affective Disorder you cannot afford to miss a day of this, since it will help with the SAD symptoms. Note: If you don’t think you need to supplement with “Essential Fatty Acids” (EFA’s) then just look at the palms of your hands. If they are “orange” instead of “pink” then you are low in EFA’s. Nothing will change this unless you actually supplement with the correct amount as well as the “correct” EFA type for you. Some people need a blend of oils while others can get away with just one type. In my clinical experience, I have observed that the majority of people need 2 oil types either Fish or Flax oil and either Borage or Evening Primrose or a blend of 3 or more oils as found in “Udo’s oil”. I would highly recommend if you take it in liquid that you keep it refrigerated and use it regularly so that the bottle does not go rancid. And the liquid form can be cheaper in cost when you take it in high amounts for depression or mood disorders. Magnesium citrate or diglycinate: Up to 60% of people are low in Magnesium as it cannot be stored in the body. It is important for all muscle function through out the body and helps to get rid of cramps and assists in all kinds of important chemical reactions through out the body. It can improve; sleep, bowel movements, menstrual cramps, irritability etc. Most people need about 500 to 1500 mg per day. Also, for those who train “physically” taking a nerve formula can be quite useful to help your muscles recuperate from the stress of working out even though a workout can be a very positive thing. Adrenals are affected by your nerves first, then if the stress does not go away your stomach acid starts to decline & you will have trouble digesting protein as well as absorbing nutrients like Iron & B12. Then the bacteria will start to overgrow in your small intestine causing “SIBO” symptoms, (Small Intestine Bacteria Overgrowth) which is another whole can of worms on its own. Also, the bones will start to be affected over time because you will not be able to absorb Calcium & other minerals as well since the adrenals are part of the “kidney” in Chinese Medicine & kidney health is paramount to bone health. Then there is the heart & the Cardiovascular system. Increased stress will increase your chance of Cardiovascular disease as well, like blood pressure, strokes, heart attacks. And to think all of the above symptoms can be prevented by stress management, a nerve formula & possibly an adrenal formula when required. Also just a quick note on when to take a nerve formula, I recommend 1 hour before bed and then take the adrenal support formula in the morning before going to work. Active B complex: Which means a B complex that is activated with a methyl group so that your body can use it right away. Yes, it is true that some people methylate better than others and you can determine that by either symptoms or going to 23andme & get a DNA test to determine if you are a methylater or not. But B vitamins are very important for digestion & assimilation of food as well as important for nerves. Zinc: This mineral is very important for digestion since most enzymes are Zinc dependent. Even if you take just 25 mg a day to keep up your digestion unless you have a diagnosed problem with digestion then you would have to take more. Think Green! The liver does something like 300 functions every 3 minutes….so it needs a lot of TLC to keep it going. How about giving it a “Green” drink or large dark green leafy salad on a daily basis. If you can add sprouts to the salad including sprouted seeds & soaked nuts even better. Be careful of drinking too much oxalic acid veggies in drinks as some peoples’ kidneys can hurt from running all that oxalic acid through them! You would know if this was an issue because your upper back will ache. Wheat grass or sprout drinks along with Romaine Lettuce do not contain oxalic acid so you can drink plenty of those daily without risk of irritating your kidneys. Click “here” to check out the list of oxalic acid containing foods. Visit a Natural Health Practitioner at least 2x per year for “dis-ease” prevention: Find someone that you can work with, that listens to you & that has a “work” guarantee program. If you have a problem that is complex or deep, Ie. have had for many years, then a “team” approach is definitely appropriate. Acupuncture, Cranial Sacral, Chiropractic, Homeopathy, Herbs, Colon Hydrotherapy etc., can all have a positive affect along with a few herbs & cleansing spring and fall to keep your toxicity level down. In my clinical experience, most severe problems are due to nutritional deficiencies or toxicity overload. Please note: This article is for information purposes only and is not meant to be used for diagnostic or treatment. This information is applied at the reader’s own discretion.